Promote the appropriate use of psychotherapy and psychological treatments for persons with psychotic disorders (a term that includes people diagnosed with "schizophrenia"). Promote the integration of psychological treatments in treatment plans and comprehensive treatment for all persons with psychosis. 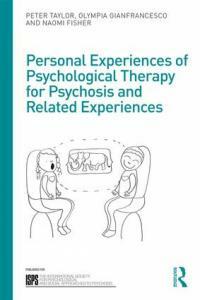 Promote the appropriate use of psychological understanding and psychotherapeutic approaches in all phases of the disorders including both early in the onset and in longer lasting disorders. Promote research into individual, family, group psychological therapies, preventive measures and other psychosocial programmes for those with psychotic disorders. Support treatments that include individual, family, group and network approaches and treatment methods that are derived from psychoanalysis, cognitive-behavioural, systemic and psycho-educational approaches. Advance education, training and knowledge of mental health professionals in the psychological therapies and psychosocial interventions in the treatment and prevention of psychotic mental disorders for the public benefit regardless of race, religion, gender or socio-economic status.